"We have dealt with a number of agents in the course of buying and selling several homes, and Sue and Elizabeth have been by far the best agents we have worked with. It took us several tries in this current market to find an agent that we could feel good about. They have gone above and beyond what we have experienced in the past, and continue to do so. We had extra concerns that we had to deal with and they helped us navigate through them, and they continue to help us deal with anything that pops up with the house. I feel confident in recommending their services to anyone!!" "Elizabeth did a wonderful job in not only selling our existing house but finding us our dream house for the right price. Our house was priced right for the market and we sold within 30 days of listing. The closing went smooth and trouble free. From the beginning she was responsive and proactive to our needs and help us thru the process." "Elizabeth was always available to answer questions quickly and thoroughly and helped me turn a stressful first-time-homebuying experience into an easy and stressfree one. She was a great advocate and negotiated excellently on my behalf and got me the perfect house for a great price. Can't recommend highly enough!" "Elizabeth is first class! Besides her great experience , knowledge, professionalism, Elizabeth is a person of integrity. Trust is so important when selling your home and Elizabeth was completely trustworthy. I highly recomend Elizabeth!" "Elizabeth did a great job selling my parents home for me and my family. This was an estate sale and she helped us through a difficult time. Her help with some staging in the big empty house helped make it more marketable for us. With her help the curb appeal and first impression were much improved. She gave us great advice and help our house sell during tough economic period. Thanks Elizabeth we will be calling again when its time to sell my house." "Kept cool under pressure with a challenging bank-owned property transaction, a less-then-helpful sellers' agent, and many hoops to jump through with the city utilities. Thanks for getting me a great house at a great price Elizabeth!!" "My wife and I can not say enough about the service we received from Elizabeth. From developing the listing, staging assistance, showings and finally through closing Elizabeth was there to support us. She went the extra mile to ensure everything went smoothly, working through a complex relocation process. My wife and I would recommend Elizabeth to anyone who is looking for a realtor who both maximizes value and provides the personal touch making a major event like selling a home go smoothly." "Elizabeth did a great job in selling my house and also the continuous efforts she put in to help me find a new place to live. I would recommend Elizabeth for both selling and purchasing a new home." "Elizabeth is a wonderful and honest real estate agent. She has wonderful communication skills and is always finding the best opportunities for you. I really appreciated all the hours and hard work she did on our behalf when buying our home. I would recommend her to any one of my family members or friends. 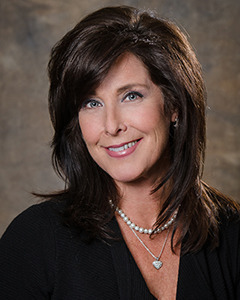 She is a joy to work"
"Elizabeth is a very knowledgeable Real Estate Professional. She has extensive experience in marketing a home and maximizing exceptional results. Trust, integrity, service and support are traits that you can depend on from Elizabeth. She is truly wonderful to work with. I would recommend her to everyone." "Elizabeth was our list agent and sold our house in under 30 days!! She was great at walking us through the whole process as painlessly as possible. She was very quick to respond to any calls, emails and/or texts. She was also extremely efficient with helping us find our new home based on our wants and needs. I highly recommend her!" "Elizabeth was very professional and engaged every step of the way. I had full confidence that there wouldn’t be any surprises and that the transaction would close smoothly." "Elizabeth was a pleasure to work with. She had excellent knowledge of the market and area. The transaction was seamless! I highly recommend Elizabeth." "Elizabeth did a great job selling my home and helping us find and purchase our new home! She was helpful with every stage of the process and did an excellent job helping me stage my home!" "Absolutely the best agent! She knows the market, the process and does what it takes to ensure the deal gets done. I'd never work with anyone else." "I was mortified to start the home buying process because of the horror stories I had heard about how stressful the whole process is. Elizabeth made my life during this period so easy. There was never a time I couldn't get in touch with her, she answered all my questions, and if she didn't know the answer - she found someone who did and got back to me quickly. I never felt pressured, even when we looked at 20+ properties over a long period of time. Elizabeth went above and beyond for me, which as a first time home buyer was exactly what I needed. Elizabeth will be my first recommendation for any of my family and friends that need an honest, hard-working, and trustworthy agent." "Elizabeth did a great job selling our home. She gave us great recommendations of what she felt needed updating in the house and also advised us on the timing as to when we should list home. She was incredible in her support and communication. Elizabeth set the bar very high." "Elizabeth worked with us every step of the way and was polite, professional and caring especially since a divorce prompted the sale of our home. She was very thorough at explaining everything and there were no surprises. She offered solid advice on what to do and not to do along with expertly staging the house for sale. Overall, she was a pleasure to work with and I will recommend her to anyone I know that is thinking of selling their home or looking for a home to purchase. We were very pleased with all Elizabeth did and how easy she made selling our home. She is a wonderful person and a great Realtor."